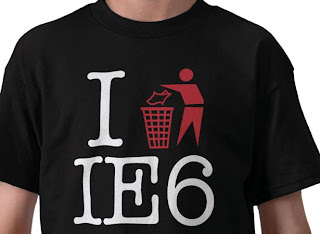 A lot of computers, mainly in the business world, continue to use Internet Explorer 6 due to internal-facing apps that are dependent on the 10-year-old, non-standards compliant browser from Microsoft. Thankfully, the web page has links to tools for businesses just like this that are stuck with Internet Explorer 6. Gartner analysts have complained in the past that Microsoft's current tools for moving business users off of Internet Explorer 6 have been far too pricey. Another feature of the Countdown page includes a world map that highlights countries around the world who still have the most Internet Explorer 6 installations. Right now China holds the number one spot. In addition to focusing on the developer side of the Anti-Internet Explorer 6 campaign, Microsoft officials are also emphasizing the improved security Internet Explorer 6 users can receive from switching to Internet Explorer 7 or Internet Explorer 8. Internet Explorer 9 is currently in the release candidate stage and is not mentioned on the page as a comparison point.